Download this free Love Brings You Home Print and add a touch of charm to your home decor. Life takes you to unexpected places, but love brings you home. So, I’m finally getting around to decorating or at least trying to figure out how I want to decorate our home. My husband had already told me that he’d like to have a key holder by the front door. So, I did what most people I know would do and I visited Hobby Lobby. I found this wood and galvanized metal arrow, complete with three hooks. Plus, it matched almost perfectly the old barn wood picture frame that my husband’s grandfather made. On top of that, I took advantage of the 50% off sale Hobby Lobby was having. I had an idea of what I wanted on this wall. There’s a lovely light switch on this wall that I have to work around and it’s actually right where I wanted to install a shelf. Plan B. Maybe I’ll place a narrow table on this wall instead? By the way, I realize the above photo isn’t the best quality. Our living room is a dark room and it’s sometimes difficult to photograph. I promise I’ll share better pictures soon! 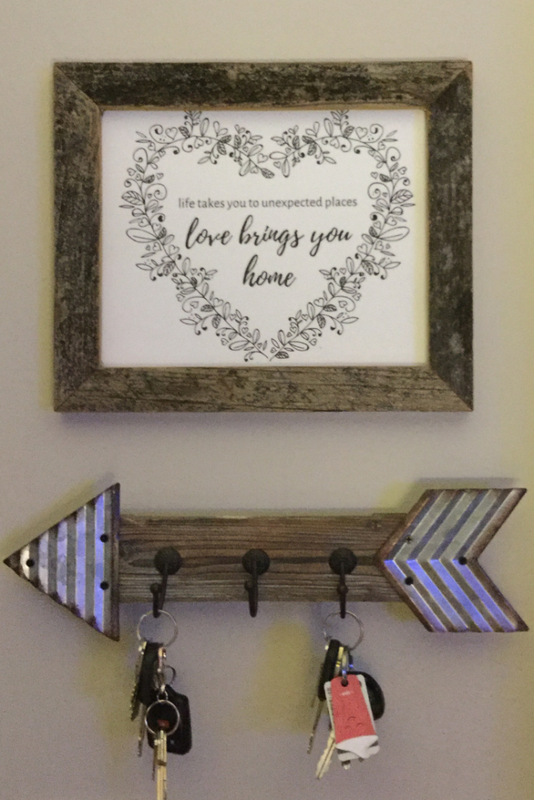 My husband made several of the wood barn picture frames that you see in the above picture. I’ve used a few of these frames throughout our home. Like the one I previously shared with you in our bathroom. I had this quote in the back of my mind ever since I saw it on a sign in Etsy. It seemed appropriate to display it by the front door and just above our key holder. So, when I created the print for use in my living room, I thought maybe you’d like a copy of the print, too. 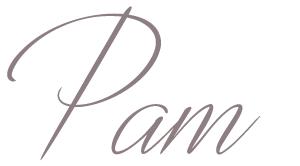 Then I couldn’t simply just create one, I had to create four different color schemes: black, gray, beige and a touch of pink. And, I also made it in two different formats: landscape and portrait. Because what if you wanted a gray print in portrait format? Right?! You’ll find all eight prints in one PDF file. Simply download the file and select the page(s) you want to print. Super easy, right? PLUS, as a subscriber, you’ll get all the latest FREE printables delivered straight to your Inbox! Sign up to get the free printable Love Brings You Home print using the form earlier in this blog post. Then download the free PDF and print your preferred design. Remember, choosing the highest quality settings in your printer settings will give you the best quality print. I always recommend using nice cardstock paper for your prints. Whether you’re using cardstock or printer paper, you’ll want to cut and trim the prints using either a pair of scissors or a paper trimmer to fit the frame for your project (typically 8″x10″). 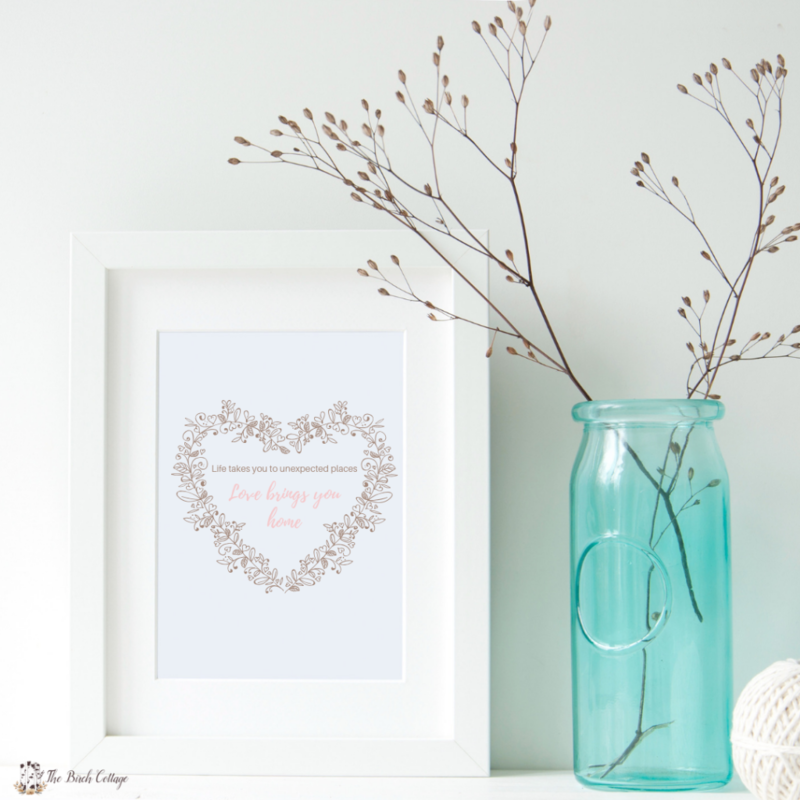 Once you’ve printed and trimmed your print to the appropriate size, you’ll want to place it in a frame. 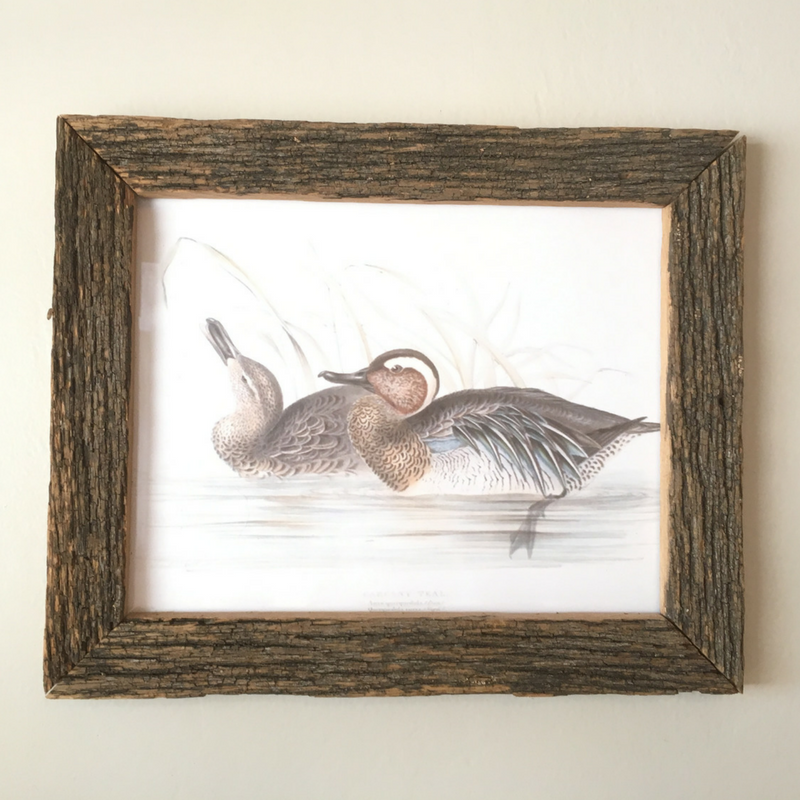 If you’re using a matted frame, it may not be necessary for you to trim the print first. I hope that life takes you to fun and unexpected places and that love always, always brings you home. I would like my niece to join, how can she subscribe or join? Just have your niece visit www.thebirchcottage.com and enter her email address in the subscribe field. 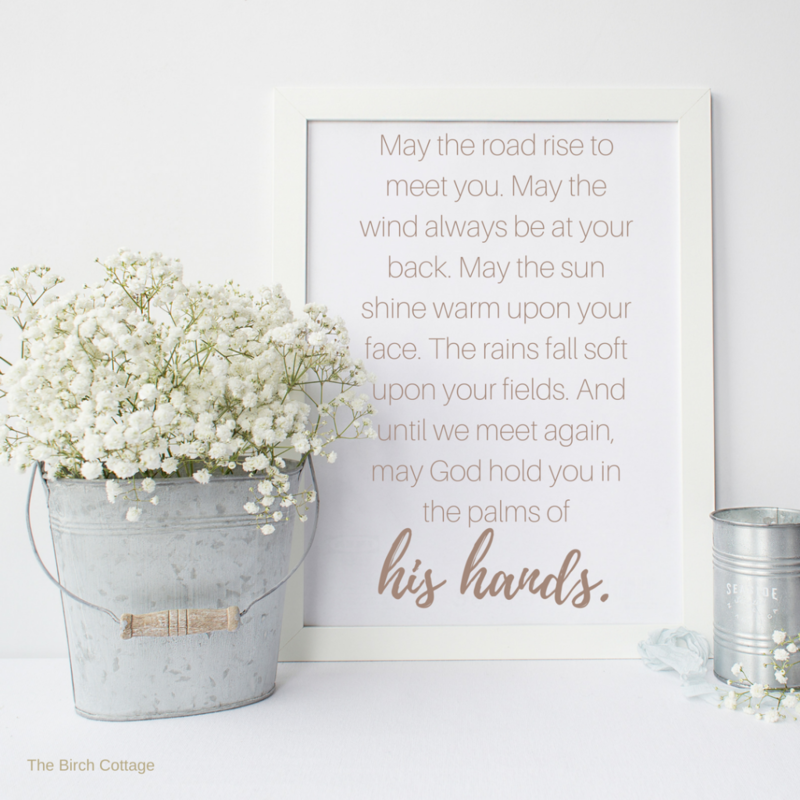 You’ll see my “Sign Up for The Birch Cottage Newsletter” form on the right-hand side near the top of each page on the blog. Hope this helps!! Am I dumb or what ..... 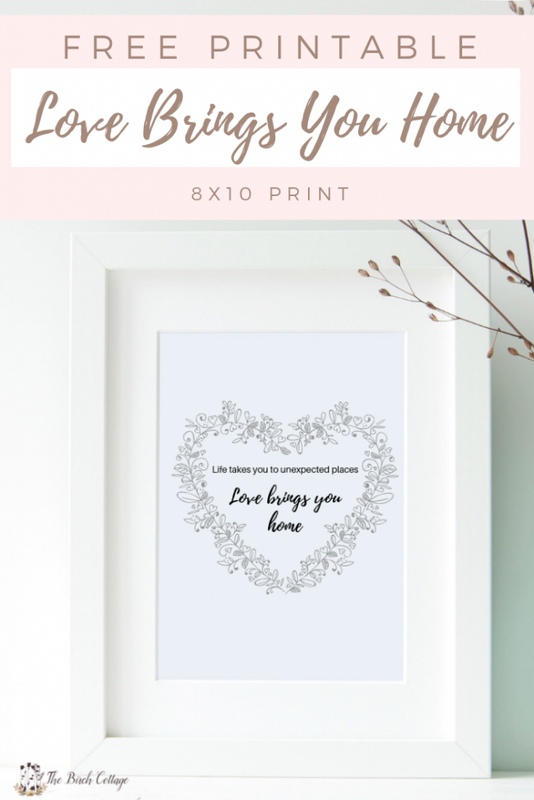 I can't figure out how to download "love brings you home" - I can download other of your files/printables but not this one. I am a subscriber, albeit a new one. Kathy, I’m so sorry. I think there was simply a problem with the link on the page. I’ll email you the link. Thanks for letting me know. You will find the link, however, under Miscellaneous Printables in the Subscribers Resource Library. I am trying to download the Love Brings You Home printable, but I am not able to. Is there anyway you could send it to me? 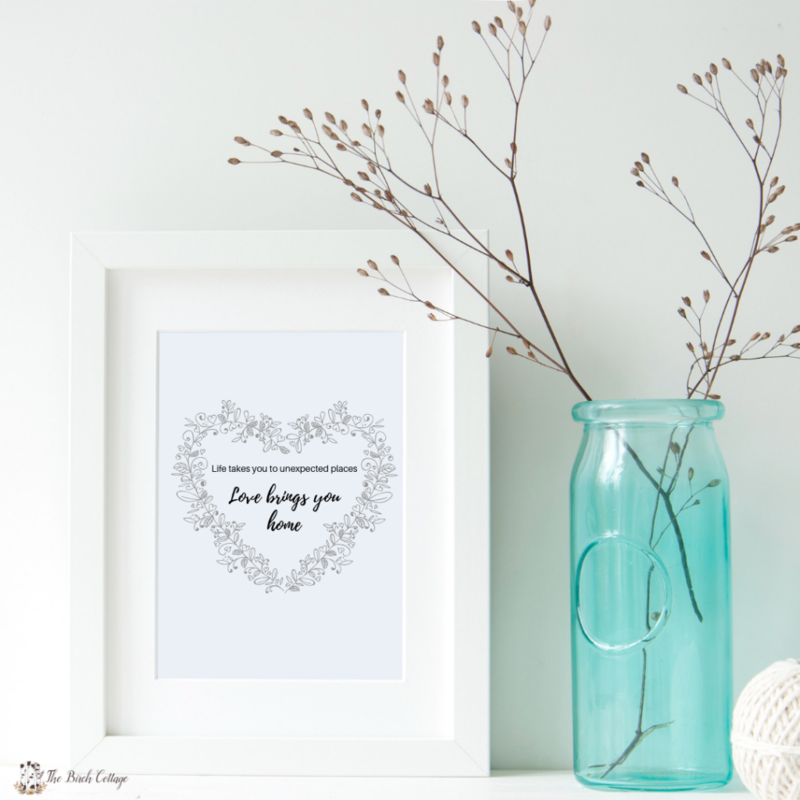 Could you please send me the link for the Love Brings You Home Print. I am a newsletter subscriber but can't figure out how to download this. Thanks.